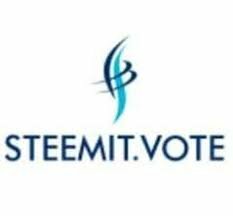 The steemit.Vote project is a project which is started by @adenijiadeshina as a goal of promoting good and quality contents on steemit. You know actually it is very frustrating sometimes to spare some times and to sweat to make up a good quality post but just to find out that the rewards is 0.3 earning or highest 0.5 earning. It is somehow frustrating. But with the Steemit.Vote project which is run by @adenijiadeshina to give upvote to good quality content or post on steemit, the frustrations will begin to reduce.